Send this to the next "Flat Earther" you meet. 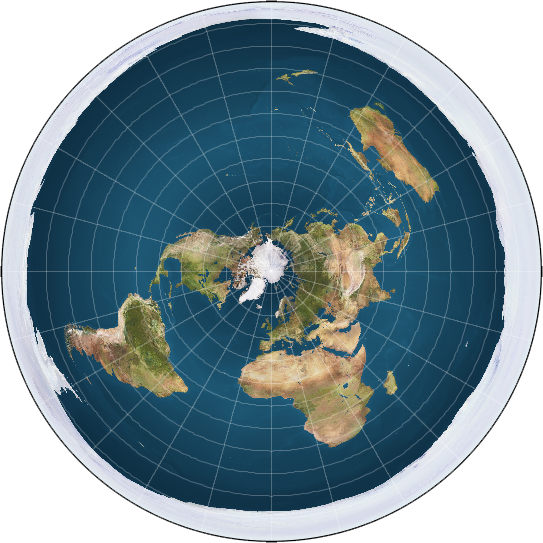 Recently, a lot of celebrities (and other random people) have been asserting that the Earth is flat. Maybe they are doing it for attention. Perhaps it’s all some attention-grabbing scheme. If so, it is a scheme that (unfortunately) worked pretty well. Or maybe they genuinely believe this. Case in point, in a series of tweets posted two days ago, B.o.B said that the planet is not round. He went on and on offering “evidence” that Earth is flat. His ramblings even caught the attention of famed astrophysicist Neil deGrasse Tyson, who tried to correct B.o.B using some facts and hard evidence. @bobatl Polaris is gone by 1.5 deg S. Latitude. You’ve never been south of Earth’s Equator, or if so, you’ve never looked up. Since this is currently a popular topic, let’s take a moment to really break the science down (just bookmark this in the event that you encounter a “Flat Earther” during your online wanderings…). There are several things that people often bring up when discussing obvious facts, such as the sum of two and two equaling four, the Earth traversing around the Sun once a year (not everyone understands this, actually), or perhaps the shape of the Earth. However, commonly held scientific facts are not always as self evident as they appear to be. Knowledge that we take for granted in the twenty-first century, may have been mind boggling in centuries past….or was it? For example, we take the fact that the Earth is a “sphere” for granted (or almost a perfect spherical, it bulges at the equator). But how do you know the shape of the Earth is curved? What piece of knowledge convinced you of this fact? The likely answer is that we have pictures of the Earth from outer space showing its curvature did the trick. But this was a fact that was known long before we had any cameras in space. In fact, without this knowledge, we would have never made it to space. I feel that I need to start off by saying this: Christopher Columbus did NOT discover the Earth was round. I know not everyone was taught this, but many were, myself included, and he is still credited by some for this discovery. This is simply not true. In fact, as an aside, Columbus did not even fully circumnavigate the Earth, he was simply the first modern European to land in the Americas. Knowledge of the Earth’s curvature goes back even farther than Columbus. Much farther. It’s easy to credit an individual with a certain discovery, like how heliocentrism is often credited to Galileo, though such discoveries are rarely the observations of one person. In fact, they almost never are. The heliocentric model was proposed by Copernicus, and proven by several other scientists, Galileo included. Atoms were proposed by Democritus and proven much later. Evolution was known prior to Darwin, but he showed a mechanism through which it could happen (natural selection). In short, science is a process that takes ideas through a very long period – sometimes centuries – of proposal, study, and questioning. The idea of a spherical Earth is no different. So I cannot drop the name of a super-genius who came up with, and proved, a spherical Earth all on his own, but I can give you the names of its contributors. The initial assertion is often credited to ancient Greek philosophers, such as Pythagoras and Aristotle. They cited simple observations, such as the changing position of stars as you travel north or south, the sinking of ships below the horizon, and the shape of the moon. Most of their observations are ones you can make on your own as well. But one of the more noteworthy early contributors to the shape of the Earth would be Eratosthenes. 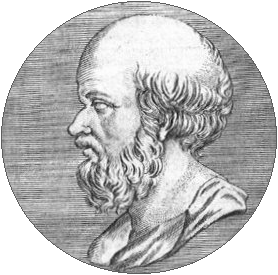 Eratosthenes was a librarian at the ancient Library of Alexandria sometime around 240 BCE. He made many contributions to science and the understanding of the universe, but here I wish to tell you about his measurement of the circumference of the Earth. 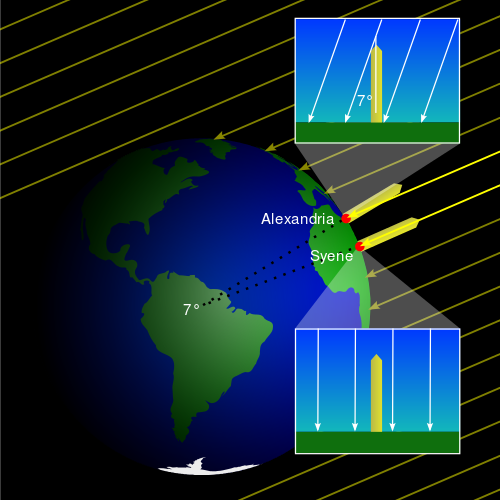 Under the assumption that the Sun’s rays would be parallel as they hit Earth, Eratosthenes measured the angle of the shadows given by pillars in Alexandria and Syene (a town a few hundred miles south on the Nile) on the same day of the year at noon. In Syene, pillars cast no shadow, as the Sun was directly overhead, but in Alexandria, there was a notable shadow. With the measure of the shadows’ angles, and knowing the distance between Syene and Alexandria, he could measure the circumference of the Earth. His measurements were fairly accurate, but exactly how accurate is still up for debate. First of all his original measurements are lost (you can probably blame that on the destruction of the Library), and secondly, we don’t know the exact length of the unit he used. He measured the circumference of the Earth to be around 250,000 Stadia. The problem is that stadia (also called stadion) did not have a consistent length across the world at the time. But even with the highest degree of inaccuracy, it was an impressive estimate for the time period. So this isn’t exactly recent knowledge that came about in the Renaissance. We’ve had proof for quite some time that the Earth is round. What Columbus did was greatly underestimate the distance between Europe and Asia. Had he not landed in the Americas, he and his crew would have starved. Yet, there are still those who doubt the Earth is not a flat disk. The Flat Earth Society is a website that claims they believe the Earth is flat. It’s debatable whether or not they are serious, but for every seemingly nonsensical theory there seems to be a group of people that follow it. In order for the Flat Earth Society to reconcile a flat Earth, they have to accept some pretty daring hypotheses. For example: the Sun is relatively close to the Earth (and small) – to account for varying shadow lengths in different latitudes, the Earth is the center of the universe, and space agencies are lying to us, among many others. They have a fairly interesting map of the Earth as well. In their geography, the North Pole is in the center of the disk, and Antarctica is an “ice wall” at the edge which holds all of the water in. In 2012, Minutephysics made a video titled “Top 10 Reasons Why We Know the Earth is Round.” Watch the video below, and then see what FES had to say about this to get a glimpse of their ideas. Though I do have to thank the FES. Because of them, I was compelled to research many reasons why a spherical Earth is an established scientific fact. For me the most compelling of these is the existence of two celestial poles. So the next time you think of an “obvious” fact, ask yourself why it is so obvious, and motivate yourself to research. Science Explained: How Does Our Sun Work?